This is what America is all about. Independence from England to stand on our own feet. It is Freedom to be what we want to be by establishing the type of government that we want. This video shows you what I see and what I feel when I think of our Founding Fathers and what they and those who fought in the revolution to give us the freedom we have today. I hope you see what I see and feel what I feel when you watch the following videos. Our Children are Taught The Founding Fathers Did Not Believe In God. What DO You Think? This Is What It Took To Be Free and Gain Our Independence! Don't let sedition take it from us! Warning: Killings, Yes War is Hell But Sometimes Necessary. These videos should give you enough to talk about with your family. Please discuss Patriotism, the importance of the flag to Americans, and why our Constitution is favored above all other forms of government. Tonight the Will Of The People Spoke. Did You Hear Them? Rand Paul gave an inspirational message tonight that I wish to share with you. I hope you agree with the message because this is what makes America different than any other country. And no matter what others think about our system, not matter how they try to pervert it, no matter how they try to make America be something that it was never meant to be, the American Spirit will protect her. Rand Paul said this: Tonight is a TEA Party tidal waive and I have a message for you. Government does not create jobs. Individual entrepreneurs create jobs, men and women, but not the government. Why is America great? Why are we the greatest, riches, and freest country ever known to man? America is exceptional but it is not inherently so. America is exceptional because we embraced freedom, because we enshrined it in our documents, and because we have lived and fought for the principals of freedom. America will remain great if we remain proud of America, if we remain proud of the system, the system enshroud in our founding documents, the systems that protects and promotes free exchange of goods, a system that protects capitalism that has made this country great. America will remain great if and when we understand that government cannot create prosperity. We have to understand that come from ourselves, it does not come from government. We are the creator of that prosperity. Until we understand that, we cannot truly defend and protect our liberties. I have great confidence in the American system. We must believe in ourselves and not believe that somehow some benevolent leader in a distant capital will take care of us and will save us from ourselves. We must again believe in ourselves. I will ask the Senate respectfully to deliberate upon this: Do we wish to live free or be enslaved by debt? Do we believe in the individual or do we believe in the State? Thomas Jefferson wrote that government is best that governs least. Likewise, freedom is best when enjoyed by the most. America can rise and surmount these problems if we just get government out of our way. America's best days lie ahead of her if we can once again unleash the creative genius, the entrepreneurial spirit, the faith in ourselves that is the American dream. For more detailed information on this report, see www.ft.com. As you are aware of if you have been following this story in the news, there has been a backlash from world nations when the Feds decided to print $600 billion to buy back bonds and save the banks. This move by the Federal Government can only hurt the U.S. dollar and spark a rise in inflation as well. What happens in America affects other nations as well so many are hoping that the U.S. can get their problems under control soon. The US Federal Reserve’s decision to pump an extra $600bn into the economy has galvanized emerging market central banks into preparing defensive measures and sparked criticism from leading global economies. The Fed’s initiative, in response to rising concern about the weakness of the US economy, has fuelled fears of a sharp drop in the dollar and a fresh flood of capital inflows into emerging markets.Reports www.ft.com. Are you concerned about this $600 billion dollar bailout causing a major rise in commodities and eventually cause the dollar to drop so low that it will cause world investors to interpret this an emergency and sell-off of dollar backed holdings? If this happens, it will likely crash the dollar and cause a collapse in the U.S. economy. This will open the door for a global currency to replace the dollar. We know that nations such as China, Brazil, and Germany have been criticizing the Feds for this action. According to FT.com, stated that many Asian central banks are preparing to protect themselves against large capital inflows. More precisely, this means nations like Brazil are preparing for a currency war. There is a global concern that if there is no exercise of restraint by the U.S. on spending and printing dollars, it will cause a global crisis. "Chinese central bank called unbridled printing of dollars the biggest risk to the global economy" It wasn't that long ago China was requesting there be another world currency because the dollar is unstable and cannot be trusted. This newest action by the U.S. puts us in bad light when President Obama is going on a World Trip to India. We can be sure that he will hear a lot from India and China on this very topic, accompanied with some strong warnings. If I were you, I would be doing what Glenn Beck has been suggesting for months, store commodities you will need if the economy collapses. Beck doesn't use these words but I do because I can afford to be mroe direct. Put two and two together and what do you get? It doesn't take a rocket scientist to see the hand writing on the wall here does it? If Beck is right that, fifteen days after China says they will no longer buy our bonds (meaning they will no longer fund loans to us to cover our debts) then the economy will go into a tailspin and we will be in a heck of trouble. I believe this is true. From all the research I've been doing for months, I have come to the same conclusions. I suspect you have too so what do you plan to do about it? What can you do about it? 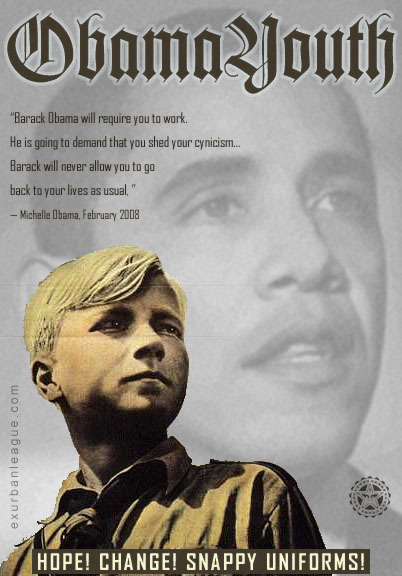 Do You Know Your Children Are Becoming Communist? I AM 100% SERIOUS! THIS IS HAPPENING RIGHT UNDER YOUR EYES AND YOU DON'T EVEN KNOW IT! YOUR SHOULD BE SCARED TO DEATH AND DOWN RIGHT ANGRY! Ask your children why the Founding Fathers came to America? Ask them if they know who Paul Revere is and what he did? As them what the flag means to Americans and why it is flown half mast when there is a death or the country is stressed? Ask them what Patriotism means? Ask them what it means to be an American? Ask them what they think when they hear the word America? Ask them what they know about the video "Stuff"? Ask them what they know about America destroying the air and water? Ask them what they know about America's standing in the world? Ask them what they know about One Nation Working Together? (It is a communist movement being taught to our children in school). Ask them what they know about Socialism, Communism, Free Enterprise? Ask them about One World Order? I don't think you are going to like their answers, especially if you don't know these organizations. You will be shocked at what they are learning about America. Don't let them know that you are shocked or they will quit talking to you! You should have a weekly meeting about America's history as a family project and discuss it with the children. Ask them to tell the family about a specific subject that they feel comfortable about discussing. 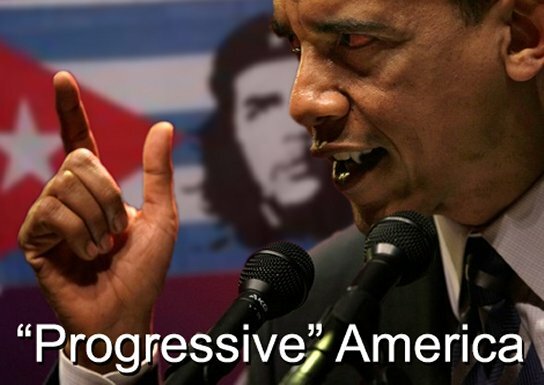 Communism and Socialism have been at work in our country for decades, we just didn't see it creeping in at first. The schools have been indoctrinating children for years. Do parents ever read their childrens schoolbooks to see what's in them? This means the Unied Nations can take our guns from us and the second amendment won't save us! Are you prepared to use your guns if needs be to keep America FREE? If you can't see that the Democrat Party is behind the majority of these activities to bring about Communism and One World Government, then we have no hope. Yes, the Republican Party has issues also but we hope the TEA Party can help save us. We have to do something immediately to prevent these goals from being achieved. Our children are the main targets right now and we can do something about it. Start educating your children about this movement and then get parents in your community together and work out a way to educate your children at home. You have to do this or your kids will become violent and turn into Communists soldiers. Is that what you want? I've been running into some of them on the Internet and they are angry and full of hate. You have to take control of your family and get them away from the school system. They are part of the movement to bring about Communism to America and replace freedom. What a horror will be in our future if that happens. Do you remember the horrible fear with had of Communism during the fifties? Now those fears can become reality. I wish that more people would study our Founding Fathers and Constitution. I mean why will people not wake up..it is so amazing how people are lured asleep and they do not study history. We get up every morning a take our liberty for granted! Have any of you endevored to study the conditions of Germany and Russia before they become Nazi Germany and Communist USSR? We just don't think it could happen here in the good ole USA. We have a President that has known Marxists ties and has Czars that like Mao. I think I have address this to several Liberals with no answers. I have spoken about the National Civilian Security Force! What are they for? To secure the borders? For Islamic terrorist? He wants to fund them like the military? Oh, wow!! Okay, Obama said he was going to repeal the Patriot Act! Instead of repealing it, he expanded it..I wonder why? I have several questions that demand answers. I am going to grill you on the left and I got some questions for you on the right! People really need to wake up on both sides. Have any of you read the book 1984? It was written about the conditions in Nazi Germany and the former Soviet Union? [The book] was written by George Orwell in 1948. If you have not read it, I suggest all you read it. The book talks about a totaltarian society. If you don't think it can happen in America, think again.Everyday, I am on Sodahead.com, I can see that book becoming a reality...it is terrifying! Lastly, I want to challenge both right and left to study CFR, Bilderbergers, Trilateral Commission, North American Union, the Military Industrial Complex. Also study about the Federal Reserve. I mean I could address a few other things but this is just for starters. I am trying to get people to actually think! Now, I am going to ask all you Sodaheads what you think happens if we have a national crisis? Do you all do know about Executive Orders and Martial Law? What happens if we have another terrorist attack or another Great Depression? What happens if Israel bombs Iran? What if our oil supply is cut off? What if there is wide spread looting? What if there is a food shortage? What if there is rioting during the November 2 elections? What happen if Obama calls in the UN to diasarm American? Do you think America is going to just lay down and give them their guns? I mean there are several scenarios here to consider! Wake Up America!! Wake Up America! I just want to share my thoughts with you, and I also want some explanations about these videos! Thank you for presenting this, Rock. Many of us who have been awake for a while were becoming concerned that so few were keeping us company! When we told them well before the 2008 election that Obama is a Marxist, we were laughed at. The laughter is subsiding. Yes, Rock I am aware and I am awake! But we will strive not to allow it to happen! Yes, Rock I am aware and I am awake! Yes, Rock I am aware and I am awake! Great Post Rock. & Thanks again. Yes, Rock I am aware and I am awake! Thank you for presenting this, Rock. Many of us who have been awake for a while were becoming concerned that so few were keeping us company! When we told them well before the 2008 election that Obama is a Marxist, we were laughed at. The laughter is subsiding. The Rock's Response: Yea, and the leftist loons are still asleep! OMG, They are so damn clueless still! Response back to The Rock: I don't think that any of those who still support li'l Obie will ever change their mind. They are henceforth to be known as Dhimmicrats. The Rock Response: Call out the leftist loon and tell them to step up..I wish a swarm of them would come on this poll so I could slap the taste out of their mouths! The Rock Response back: Yes and unfortunately we will just have more CFR NWO puppets replace other CFR NWO puppets. Hopefully, I am wrong and we can spare the Republic for a few more years. Evetually though Bible prophecies will be fulfilled! New Response from me, Judy: Yes, Rock I am aware and I am awake! I want you to know that I am doing reports on CFR, NWO, Bilderbergs, Soros, Trilateral Commission, North American Union, the Military Industrial Complex. Also the Federal Reserve and Central Bank. New Response: Yes, Rock I am aware and I am awake! The Rock Response back: Yea, and the leftist loons don't think it could happen in Amerika! Response to The Rock: I think the Leftist Loons would welcome it. They've been longing for someone like Obama for years. New Response: Yes, Rock I am aware and I am awake! He will want to make sure he remains in power. Once he declares a national state of emergency, There will be no elections. This will ignite a powder keg of anger amongst the American people. He will need His National Civilian Security force to crush a rising rebellion, insure his personal safety and Assume his position as dictator. The Rock Response Back: Yea, but LWNJ don't have a clue..They must think he is going to arm Americorp with BB guns..Get real..please share this..I mean this blog came from the heart! Response Back to The Rock: I hear ya ! The Rock to Responder: Please share this..I mean this is burning in me, Heather..People really need to wake up and wake up fast! New Responder: Yes, Rock I am aware and I am awake! Rock.. thank you for this timely and informative and.. all too accurate post...We ALL need to diligently guard our rights and take our country back!!!! The Rock to Responder: Thanks and please share! This video is not meant to endorce Ron Paul for President, it is to confirm that what I've been saying is true about CRF and North American Union and the Bilderberg Group Plans to rule the world. There is a real threat to American Freedom and our way of life. The left progressives will tell you this is not true, that it's fear mongers who promote this stuff, but the truth is right there for anyone who does their research. We know for a fact that the Bilderberg Group exists. Even Bill Clinton admitted he went in 1991 when a ground forced him to respond to the question about his affiliation with Bilderberg when he was campaigning in Oregon for his wife Hillary in 2008 (I think).